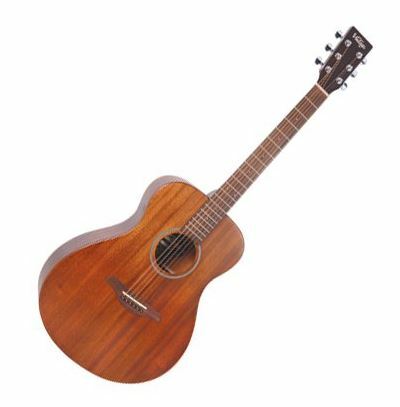 This dreadnought-style electro-acoustic guitar from Rocket is built for creating superior sound and tone. 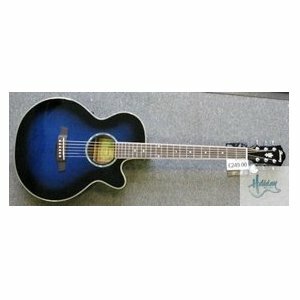 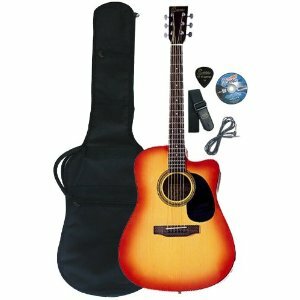 As such, it is a good choice for guitarists looking for a great sounding and versatile electric acoustic that won’t cost the Earth. 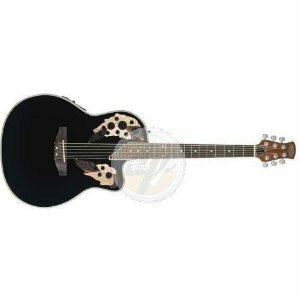 The guitar features a cutaway, so is very comfortable to play and enables guitarists to fully express themselves while the high-gloss black finish means it always looks the business! 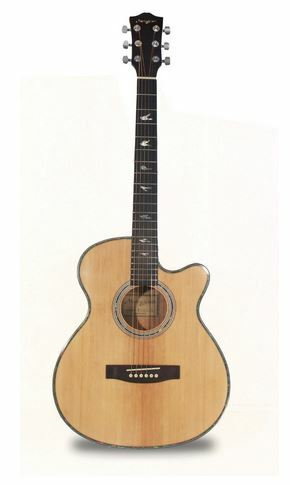 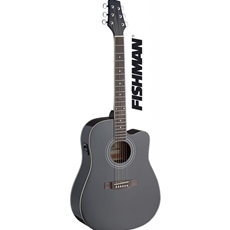 The EAGD44BK guitar has a built-in Fishman pre-amp, which features tone and phase control.